The first of three parts is over, and the only thing I can say is that I’m left feeling very strange at the end of it. 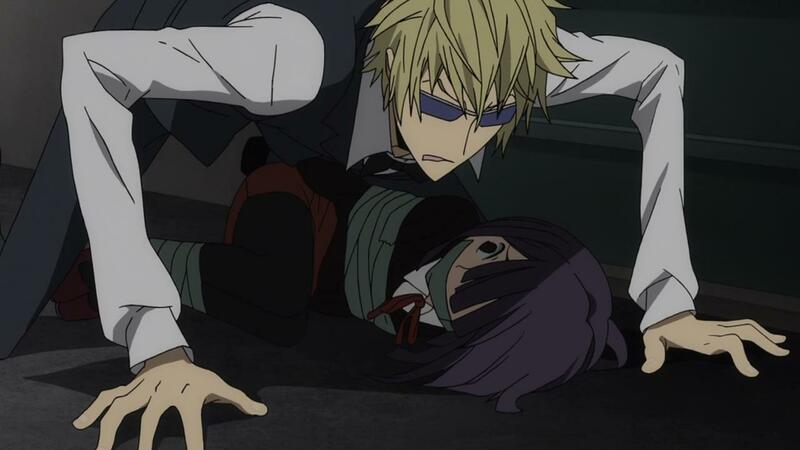 If anything, I’m not entirely sure where Durarara! !x2 is going, or what’s in store for the future. 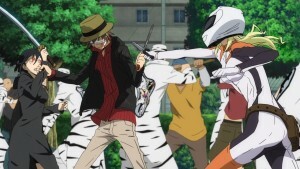 The entire first cour, or Durarara! !x2 Shou has felt like nothing more than setup. Its been about moving some pieces around and creating a paradigm shift of sorts. Ikebukuro had a sort of setup to it, with each of the known characters in a defined slot, a piece that made up the larger puzzle. What Durarara! !x2 Shou has done, is simply reset the board, shifted not only the pieces around, but changed their very nature, and with it, created an entirely new puzzle, one that I’m sure will be put together piece by piece in July when the series returns. Its interesting that the one who’s been changed the most from all of this is Ryugamine Mikado. I’m not entirely sure who he is anymore, and he continues to be the most fascinating character for me. 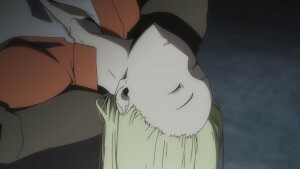 Part of his allure is the fact that I still have no idea, 36 episodes later, what defines him. 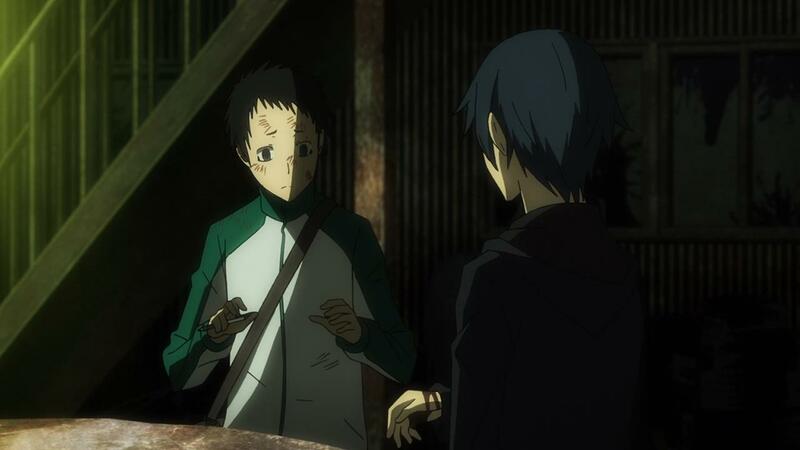 The sequence at the end of the episode, with him Stabbing Aoba with a ballpoint pen. At first he’s all angry, and even sort of badass but soon after he reverts back to his nice persona. 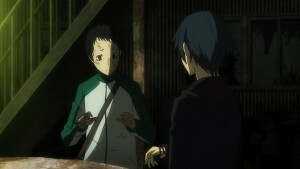 Its kind of creepy, and bi-polar, and I’m not exactly sure what to think of Mikado’s sanity at the moment. I think Mikado’s definitely changing, evolving and trying to find his place in this creepy, twisted place that is Ikebukuro. I think the words he exchanged with Shizou and Rukujo really did break something in. In some ways, Mikado’s got the age old problem of trying to fit in. The problem is that the people he needs to fit in with are all our monsters and crazy people trying to find some semblance of a normal life. 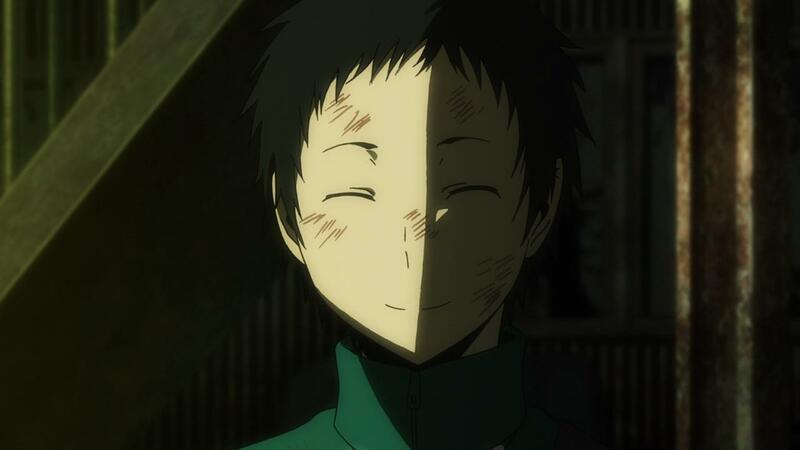 Its an interesting paradigm, and I’m curious to see how Mikado begins his descent and crossover to the “other side” as it were, and what kind of person that turns him into. 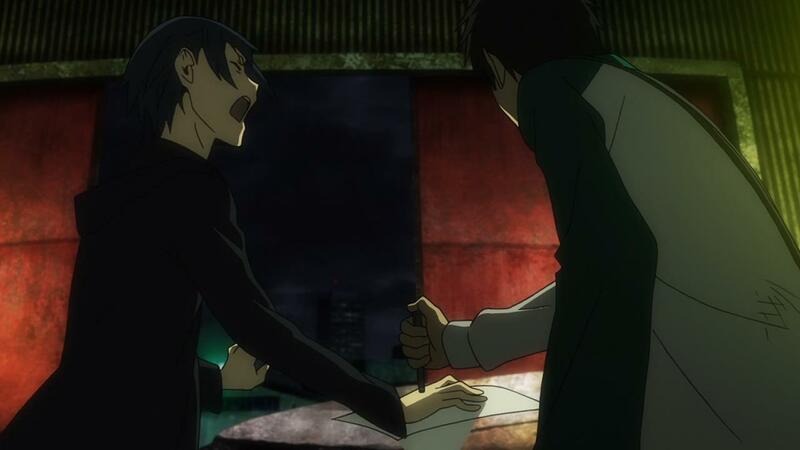 The big twist at the end of the season though, was Orihara Izaya getting stabbed. Not only was he stabbed, he was outplayed by someone else, and paid dearly for it. 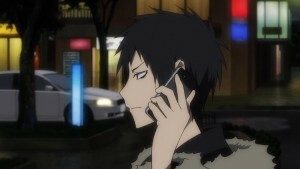 For Izaya, the guy who so clearly manipulates everyone to be at his wits end with someone, is an interesting new dynamic too. 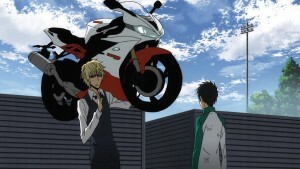 Again, this is another way in which Durarara! !x2 has torn done the establishment from the first season, and changed up the board. 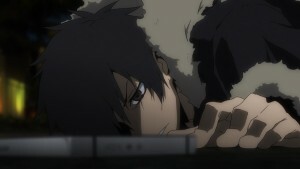 Will Izaya even survive this run in with death? 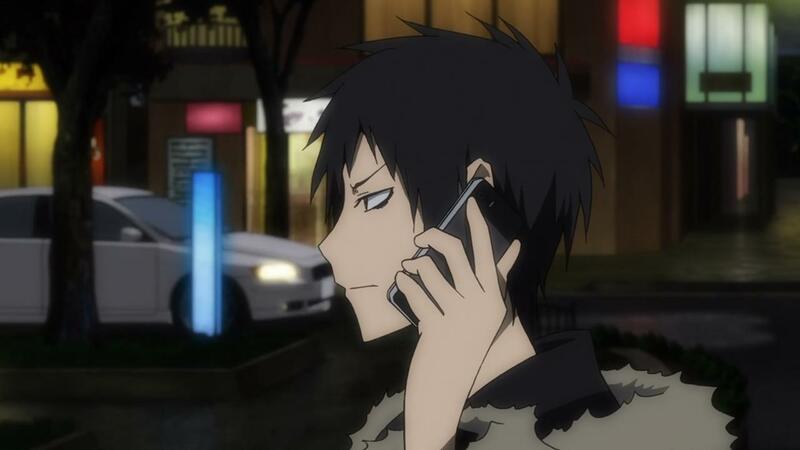 If Izaya’s dead, how does this impact everyone else, since he’s so central to so many key characters. On the other side, some characters seem to have made their exits, some more permanent than others. Shizou for example, has left the dollars. I’m very curios to know why Shizou told Mikado about his resignation. Did he know about Mikado’s identity? I’m personally of the mind that he did, and that he might indeed know more than he lets on, even if its on a more “instinctual” level. 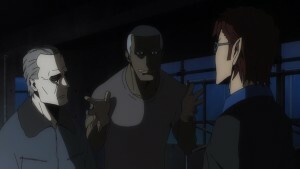 In fact, it was pretty telling when he realized the whole situation after seeing Varona’s kidnapping victim. 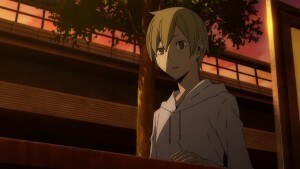 The whole Akane story came to an end, and with it, Varona ended up getting caught by the Awaksu group and has been sent back to Russia? Either that or she might just be in Simon’s care for the remainder of the series? Rukujo on the other hand seems to be satisfied with the conclusion of events regarding the Dollars, and is done his little feud. 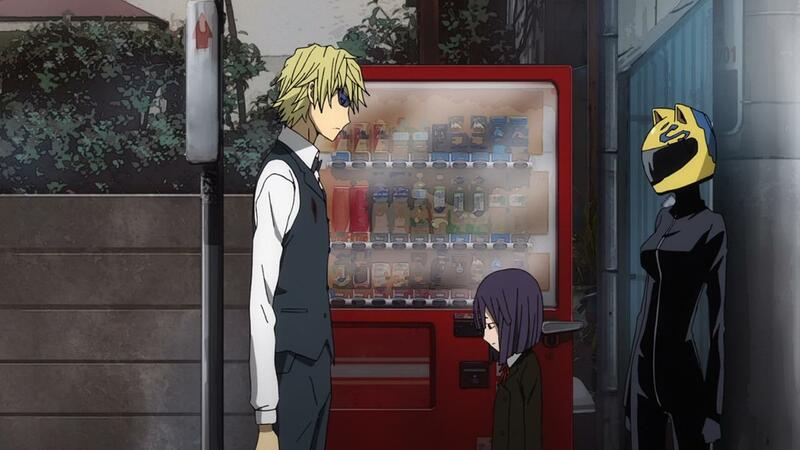 Will he stay around Ikebukuro? Hopefully. He’s a cool character that I’d rather we not lose. Finally lets go back to the guy who took down Izaya. Yodogiri Jinnai. It’ll be interesting to see what his role is in the story, and what it all means for everyone. I will say that it was slightly disappointing to see Kida not really do much of anything. 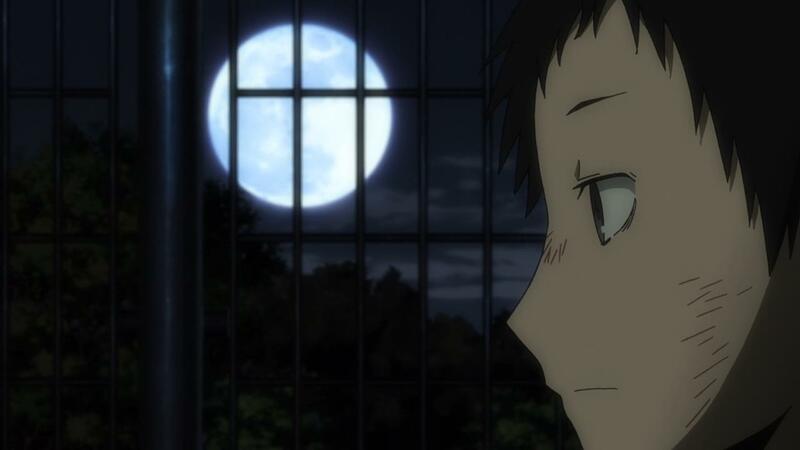 He just kinda saw Mikado from afar, and then just kind went into his own depressive rutt, realizing that he probably can’t do anything for his friend. The interesting bit though is that now Masaomi knows of Mikado’s identity crisis a bit more, but I think is powerless to really do anything about it. 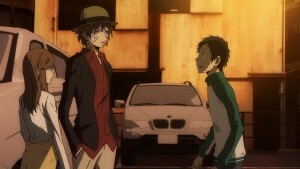 The last scene with all three friends kind of looking lost, is pretty telling of the new dynamic that they now have. 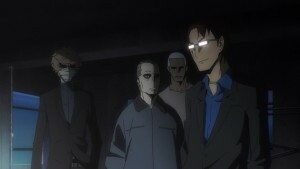 Its pretty different from the ending of the first season, where they all seemed pretty friendly and parted on good terms. It’ll be great when this little thing hits its boiling point and explodes. 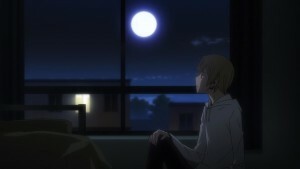 In the end, Durarara! !x2 Shou has done a lot of interesting things, but I’m not sure what it all means. Where does it go from here? I’m not entirely sure. I’m intrigued, but that’s about it. I feel that all this setup and shuffling will be worth it later on and that’s why I am sort of interested for July to hit and the second season to happen. I guess we’ll see how it goes. The first part of Durarara! !x2 has been pretty lukewarm, which is not something I expected to happen. Lets see if the next part defies expectations again, because mine won’t be that high going in.